Hello. I'm Kyle Dillon, owner of TLC Carpet Care in Castle Rock Co. TLC has been in the carpet, tile and grout, and furniture cleaning business in Castle Rock since 2001. Having been in the industry since 1989 I have worked with many different companies and seen many different cleaning systems and upholstery cleaning process and well as carpet cleaners. I’ve also been certified by the IICRC in Denver Co which is the worldwide organization that overlooks cleaning and restoration processes and procedures. So on the initial inspection of your furniture, TLC can confidently let you know the correct cleaning process for your upholstery that you can trust.We will also let you know if the spots you have will be removable or not. When it comes to carpet cleaning, TLC Carpet Care in Castle Rock Co can discuss which method would be best for your upholstery. Furniture as must have a specific instructions as to the fiber it is. You may have noticed those cleaning care tags on your furniture, well those aren’t just suggestions, if it says “Cleaning Code S” or “Cleaning Code W it means steam cleaning Some “S” code fabrics stand for solvent cleaning , which will need to be determined by a color fast test and a fabric identity test. If you have a normal microfiber or herculon type fabric, those are very easily identified visually, but others I definitely will take the time to test all others. No matter what type of fabric your furniture has, TLC can confidently clean all fabrics. 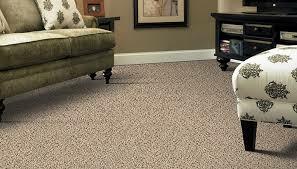 We are equipped to perform all types of carpet cleaning and upholstery cleaning for all types of fabrics. TLC is equipped for and experienced in all methods, sand our tech are well qualified and experienced, a Upholstery cleaner you can trust.